After a historic victory in Malaysian parliamentary elections, Pakatan Harapan leader Mahathir Mohamad will become the world's oldest Prime Minister at 92. His alliance secured 113 of 222 seats being contested. The historic victory ended the six-decade rule by Barisan Nasional (BN) alliance. Announcing his victory, Mahathir said his alliance want to restore the rule of law in the country. Pakatan Harapan – Malaysia’s opposition alliance, headed by veteran leader Mahathir Mohamad, has won a historic election victory. His alliance has secured 113 of 222 seats being contested in country’s parliamentary elections. The massive victory ended the six-decade rule by Barisan Nasional alliance. However, BN managed headed by Najib Razak managed to get 79 seats in polls. Mahathir had mentored the Najib Razak in the past. After swearing-in, Mahathir will become the world’s largest election leader or Prime Minister. “We are not seeking revenge, we want to restore the rule of law. Not just a few votes, not just a few seats, but a very substantial majority,” Mahathir told reporters announcing his victory in elections. To celebrate the victory of Pakatan Harapan alliance in elections, many people and supporters took to streets. 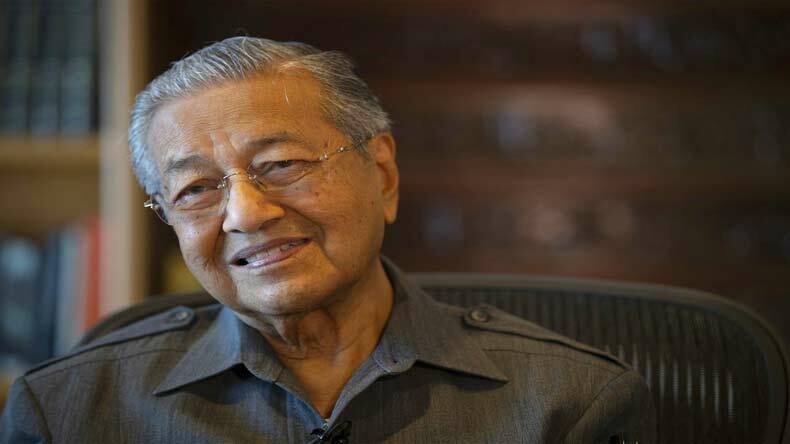 From 1981 until he stepped down in 2003, Mahathir had served as prime minister for 22 years. He was also the head of BN alliance before he resigned alleging that he can not support a party that is supporting corruption. However, Mahathir has been a controversial leader as he used controversial security laws to lock up his political opponents. Malaysia reached a new economic height under the leadership of Mahathir Mohamad during 1990’s. Najib has been accused of pocketing some $700m from the 1Malaysian Development Berhad. Najib is still being probed by various authorities in several countries, however, Malaysian authorities have given him a clean chit. In 2016, resigned as a member of Barisan Nasional to join Pakatan Harapan, 2 years ahead of parliamentary elections. Ahead of the elections, there were speculations that elections would not be free and fair. Malaysian government recently introduced a draconian fake news law, which experts say that could be used to muffle the dissent. Under this law, Mahathir is also facing charges after alleging that his plane has been sabotaged.